Emily and Brad were such an easy couple to wander around with. 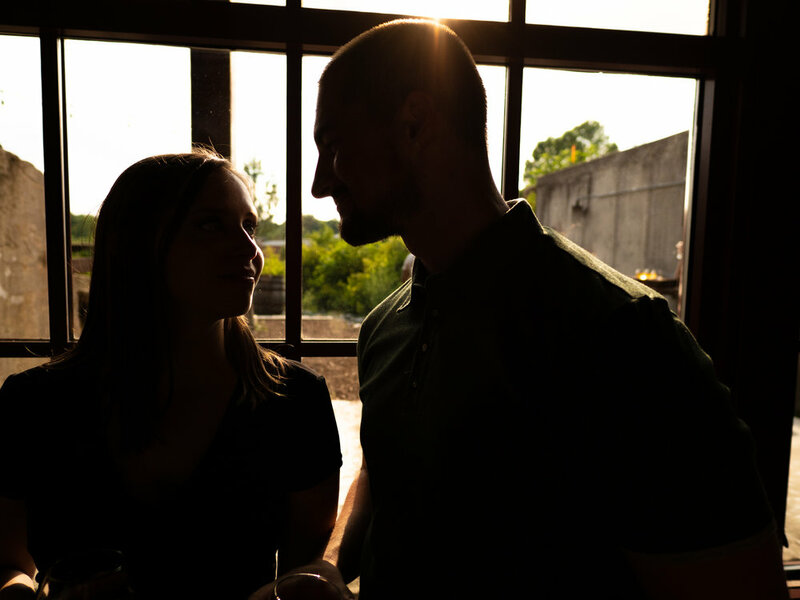 They have the type of laid back personalities that fit a scene like Saxapahaw perfectly. Situated along the Haw River, this old mill town has a kayak outpost, a brewery restaurant, the Haw River Ballroom, and cute general store. 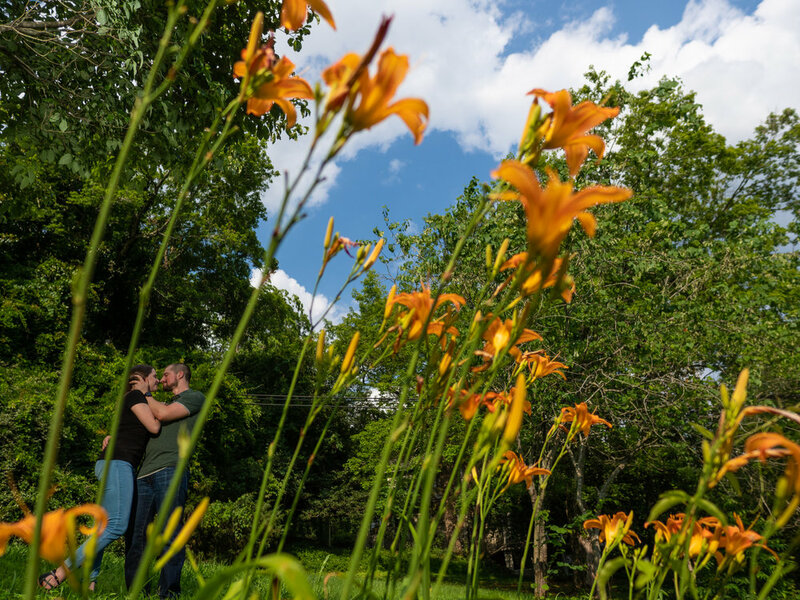 We found pretty spots to photograph Emily and Brad along the main road that followed the river, and got to know each other better over brews at Haw River Farmhouse Ales. North Carolina has a lot to offer, a thriving downtown city center, lovely coastlines, and the beautiful Blue Ridge Mountains, but in between these spaces are the little towns that give NC it's character. 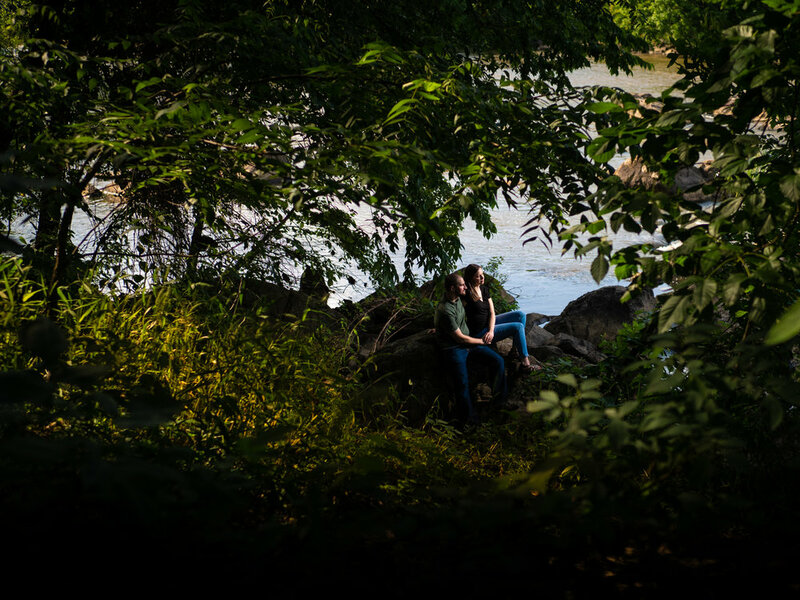 It was the perfect spot for a casual daytime engagement session. We're excited about their wedding in September 2019 at the Eco Institute.